Teodoro Anderson Diaz, LCSW, LADC, a behavioral health care leader and practitioner, has joined Wheeler as vice president of Adult Outpatient Services. In this role, Mr. Anderson Diaz will oversee the clinic’s mental health and substance abuse recovery services and ensure continued integration of behavioral health programs and primary care services. Most recently, Mr. Anderson Diaz served as the director of Behavioral Health for First Choice Health Centers, where he managed high-performing intervention and outreach programs and was part of a team responsible for the implementation of integrated care at the Center. 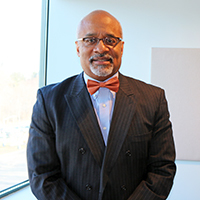 Prior to this position, he served as the director of Social Work for Natchaug Hospital. He also is a member of the adjunct faculty at the Springfield College of Social Work. Mr. Anderson Diaz received a Master’s Degree in Social Work and a Master’s Degree in Human Service Administration from Springfield College. As our 50th anniversary draws to a close, we asked Wheeler's leadership team for their thoughts on how the organization has evolved and grown for five decades. Here are some of their thoughts. Wheeler will host a Job Fair on Wednesday, April 3, 2019, from 3 p.m. – 7 p.m. on the 4th floor of Wheeler’s Family Health & Wellness Center, 43 Woodland Street, Hartford.